Today's music industry—the "new" music industry—is a pretty exciting place for musicians. Old barriers have vanished thanks to new technology, and the playing field that was once one-sided now is more level than perhaps ever before. Of course, while change solves problems, it can also create new ones, and that certainly holds true for today's music industry. What are some of the challenges musicians face now? Here are three of the biggest obstacles musicians complain about today and some ways that might help them overcome. Ask just about anyone how musicians make their money these days, and they will say, "live music." In fact, ask anyone who never pays for recorded music how they support the musicians they love, and they'll say, "I go to their shows." Now, that's all well and good. And, it's true—live music is where it's at these days financially for musicians. However, there's one major disconnect—playing live costs musicians money. A lot of money. Yes, even more than that. Sure, going down to play your local venue for the 80th time is a piece of cake financially, but that a music career does not make. To really build an audience, a band has to go out on the road. Day Jobs - Sure...but does your boss let you repeatedly take extended vacations from your job so you can pursue outside interests? No? Merch Sales - OK. But remember, someone had to pay for that merch up front, and that for an up and coming band, selling 10 shirts is a good night. Money Earned at the Show - Stop laughing, musicians. There tends to be some real misunderstanding of how much money up and coming musicians can make at their shows. Often, they get a cut of the door after the venue and promoter expenses, which may be very, very little or nothing at all. Even if your fav local band nets thousands at the home show, they'll be starting from scratch in new markets. Making good money at shows is a process. It's a tough position to be in, but it's not insurmountable. 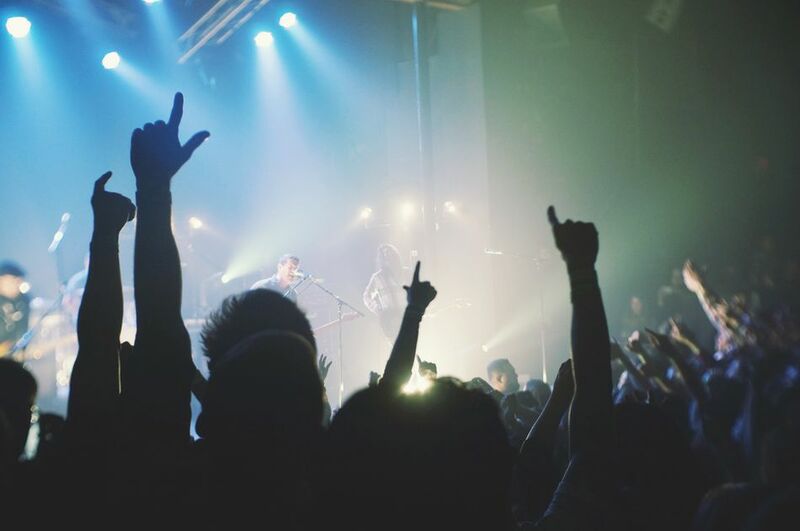 Musicians are taking weekend warrior approaches to touring so they can work during the weeks and build an audience during the weekend. They are also sharing costs by heading out with other bands, looking for sponsors, and yes, even signing deals with labels to help them meet the costs. Everyone touts the idea of social media saving the broke musician from the marketing efforts of the major labels. And ok, social media is a big deal for musicians and really well managed social media accounts can launch music careers. It's been done. You can name your favorite example now. The flip side of connecting with fans via social media is the concept of becoming internet famous. That means that you build up a really strong social media following, that people are talking about you and you're not making a single penny from your music. The sad reality is that just because people are sharing your viral video does not mean that they are buying tickets to your shows. Nor does having 500,000 Facebook fans mean that you'll sell 500,000 concert tickets or that having 1,200 people accept your event invite means you'll have that kind of turnout. It's so important for musicians to remember that man and woman cannot live by the internet alone and that managing social media promotion is about more than trying to get a lot of followers. Musicians are battling the trap of becoming internet famous by pursuing offline promotion as well and by leveraging the audiences who actually attend the shows. Where Did My Team Go? It's a beautiful thing that musicians can make a viable living making music without having to sign with a record label these days. However, remember that that doesn't make the work that labels do obsolete. It simply means that you can hand-select the people who do that work for you. In other words, you can pick your own team, including managers, PR, agents, and more. There are two little rubs up and coming musicians are running into with this new-found freedom, however. One is that when you're unknown, it's not always easy to attract attention from the team members you want. In fact, it's just as hard as getting record label attention ever was. The second is that these people want to be paid. For PR, you have to pay for your campaign before any results come in and you don't get a reduced rate if the campaign doesn't work. For other team members, they want a cut of your earnings. And why shouldn't they? They're working for you. But...well, see number one on this list. One way around this musicians are using is to give friends a chance to build their own music business careers by taking on some of the work. The other option is to go completely DIY. Of course, that takes you away from your music, but it can be a good stop gap if you have enough time to devote to managing your own career until you can attract bigger attention.